It may be a couple of months to go before Christmas but the intense summer heat is here to stay. I always find myself wanting and craving for cold treats like ice cream and milkshakes. And last week, I discovered Mozafrió. 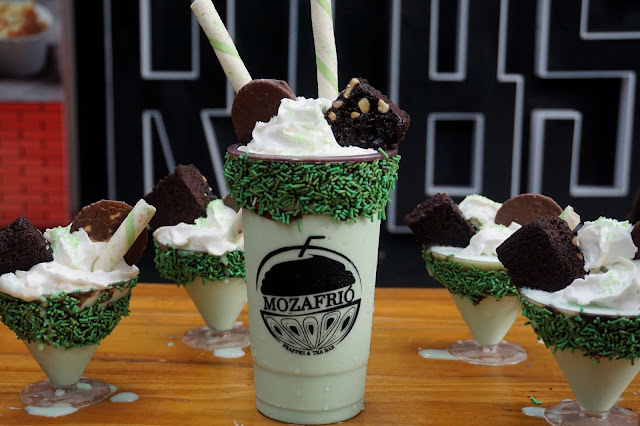 This milkshake store is located on the second floor of the hip and very millennial The Food Hive in Quezon City. 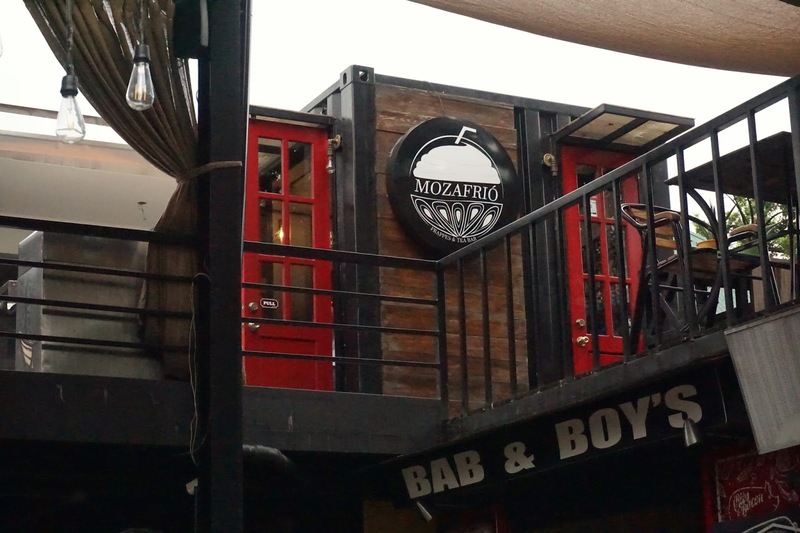 Its shop is quite small but its friendly staff can deliver your drink to your table while you hunt for more interesting and yummy grubs. 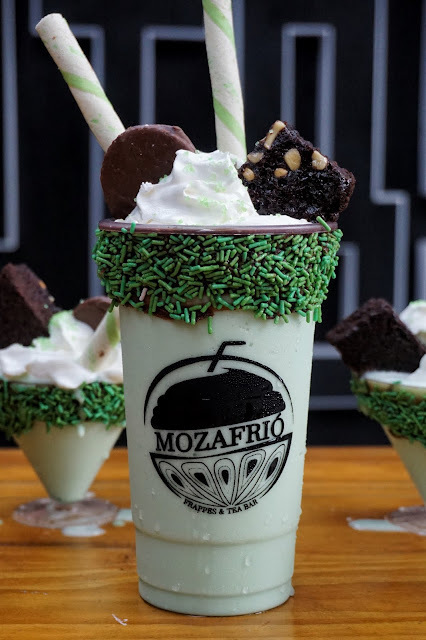 For this visit, we sampled Margarita, Solana and La Paz (PHP125, regular | PHP175, freak frappe). Since we got there early, our drinks were served in less than 10 minutes. 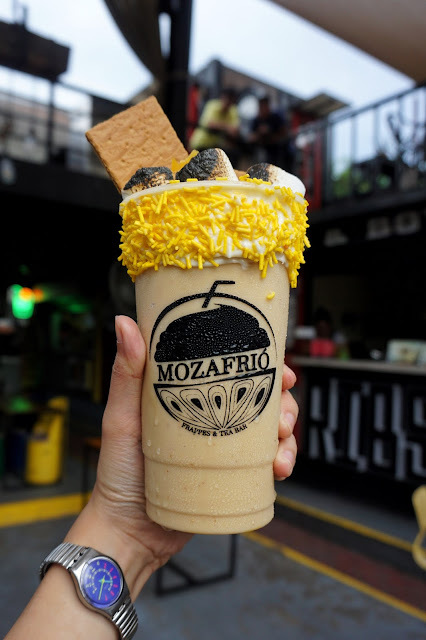 First served was Margarita, a mango graham milkshake topped with torched marshmallow and yellow sprinkles around the rim. Though it sounds so good, I was not able to try this dish as I was so preoccupied to take photos of other drinks. Solana, Mozafrió's salted caramel milkshake, was a hit among caffeine aficionados. This coffee-based milkshake had a lovely sweet taste from the caramel which was well balanced by coffee. But my favorite was La Paz. Though its name makes me think of la paz batchoy, this milkshake is refreshing. It was your creamy buko pandan but in milkshake form. I was told that the famous Bacolod noodle soup is actually meant to refresh and energize you. So the name was fitting after all. 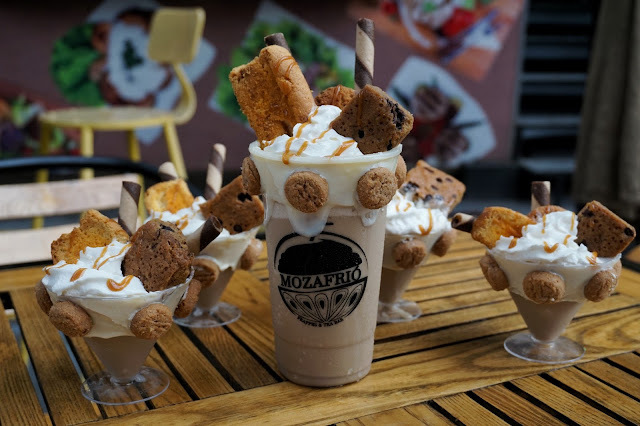 Overall, it was the perfect last stop of our Zomato x Nestle food crawl. 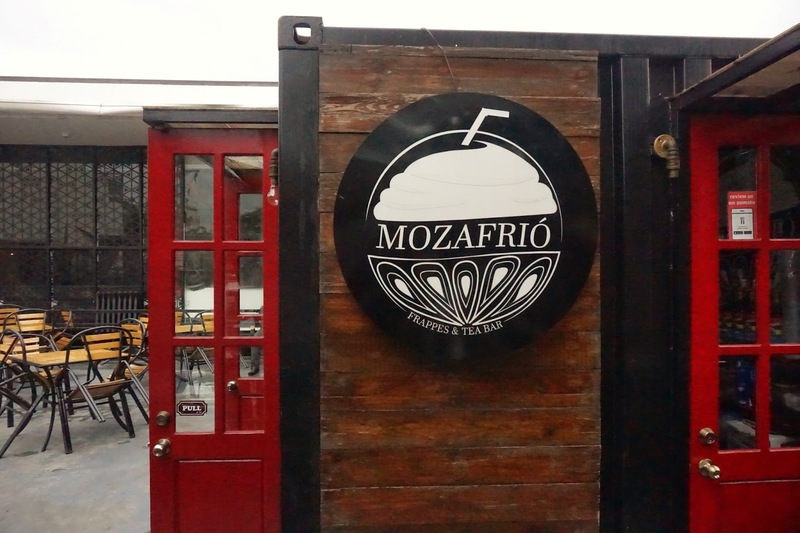 Mozafrió is located at 2nd Floor, The Food Hive, Visayas Avenue, Quezon City.